Part of that stems from the fact that every Star Wars film is an event. Hell it’s a freakin’ cultural phenomenon. 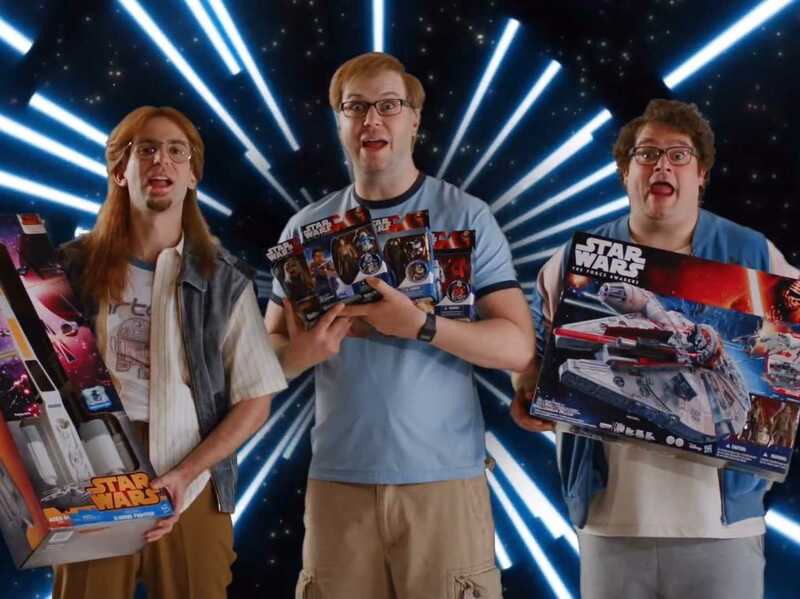 If you need further evidence, there are actually people who dedicate their lives to living like Jedi. Yes friends and neighbors, Jediism is a thing. Rogue One: A Star Wars Story was no different. Millions flocked (and continue to flock) to their local multiplex to take in the glory and grandeur of a new Star Wars film. It’s been a critical and commercial success but after further analysis I don’t agree with my original review. It’s probably closer to a 7/10. Rogue One is still a good movie and holds its own in the pantheon of Star Wars films. What I took issue with was the ludicrous amount of hyperbole immediately following Rogue One‘s release. People having the audacity to call it the best Star Wars movie of all-time, even better than The Empire Strikes Back. These people obviously need to spend some time in a bacta tank because they’ve suffered severe trauma to the head. While the film is certainly a technical masterpiece, it also contains some pretty egregious flaws that people are overlooking. Hell I overlooked them myself and still enjoyed the movie in spite of the flaws. I can already hear the nerd rage from here. How dare I criticize any part of this film! The Force Awakens had a ton of coincidences, corny dialogue, it ripped off A New Hope. All valid points and ones I 100% agree with. However, I’d counter with, “How can you give certain aspects of Rogue One a free pass?” So before you whip out your blaster and blow a hole through my useless Stormtrooper armor, stay with me and see if you can follow my logic. Forest Whitaker is without a doubt, one of our finest living actors. However, I was not a fan of this character, which really pissed me off because I thought he was going to be awesome. There’s just so much that’s confounding about him and left unanswered. Why the Hell was he hiding out while Jyn’s Mom was getting murdered? What did he do to be labeled an extremist by the Rebellion? What exactly caused him and Jyn to break apart? I get that he’s a guy that’s barely alive, but the whole oxygen mask schtick was dumb. I’m not sure if it was supposed to be intimidating but it came off as ridiculous. Additionally, I’m perplexed as to why he didn’t try to escape with Jyn and the others as they fled Jedha. 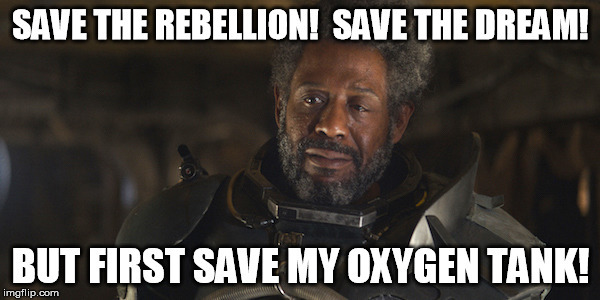 It was just like, “Ok imma just gonna stay here and get blown up, have fun with the Rebellion and all.” Saw Gerrera was a missed opportunity as a character. We have come so far when it comes to rendering digital faces since Tron: Legacy. The youthening (yes I made up that word) of characters like Tony Stark (Robert Downey Jr.) in Civil War and Dr. Ford (Anthony Hopkins) in Westworld are nothing short of remarkable. However, when it comes to rendering a complete CGI human, we are not quite there yet. We are damn close. Ten years, maybe even five. But not yet. 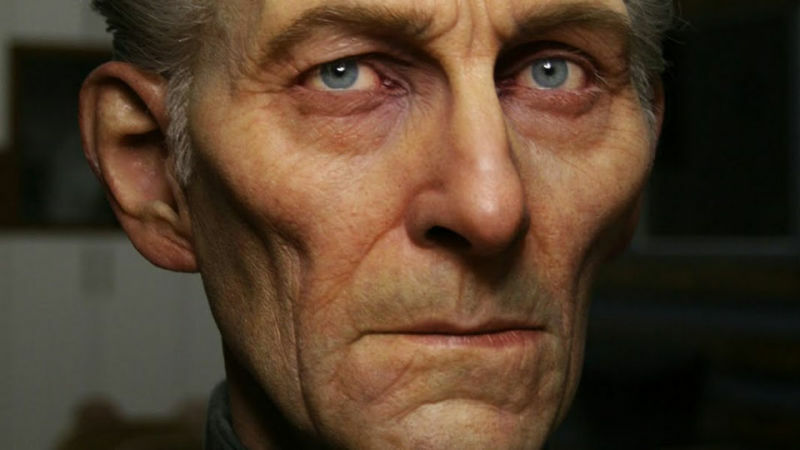 The people behind Rogue One made the bold choice to digitally render Peter Cushing’s character of Grand Moff Tarkin in the film, necessary since Cushing has been dead for over two decades. It was a choice that worked for some people but not me. There’s still the “dead eyes” problem with these CGI recreations and sometimes the mouth work didn’t match the voice. While I don’t think you could have excluded Grand Moff Tarkin from Rogue One (he’s too integral to the Death Star story) the producers could have cast another actor to play him. 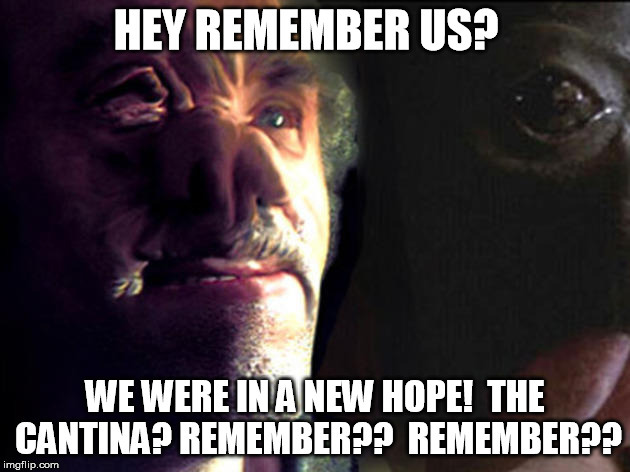 What about the guy who did it at the end of Revenge of the Sith? No one seemed bothered by that then. Even so Star Wars fans probably would have bitched. I flat-out LOVED all the Vader stuff in Rogue One. They made Vader menacing again and gave him his balls back. The fact that he hate-built his castle on Mustafar was awesome. And his final killing spree? Chilling. However, there was one part that almost made me groan. In his first scene just before leaving Krennic, he chokes the Imperial and says, “Don’t choke on your own ambitions Commander Krennic.” Oy vey. I mean talk about a CSI: Miami moment. Cue “Won’t Get Fooled Again” by The Who. I know much was made of the re-shoots on Rogue One and at first I thought people were overreacting. In case you aren’t aware, re-shoots happen on virtually every film and always on major tent pole movies like Star Wars. However, this wasn’t just a minor re-shoot. 40% of the film was re-shot. FORTY FREAKIN’ PERCENT! That’s almost half a movie. 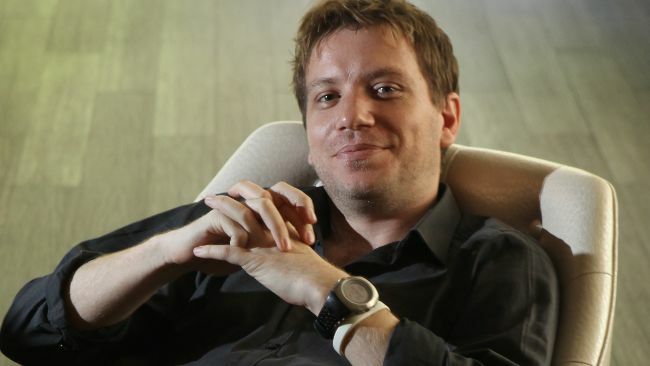 So everyone praising Gareth Edwards for this “masterpiece” and that he put J.J. Abrams to shame and blah, blah, blah, yak, yak, yak, you better think again. 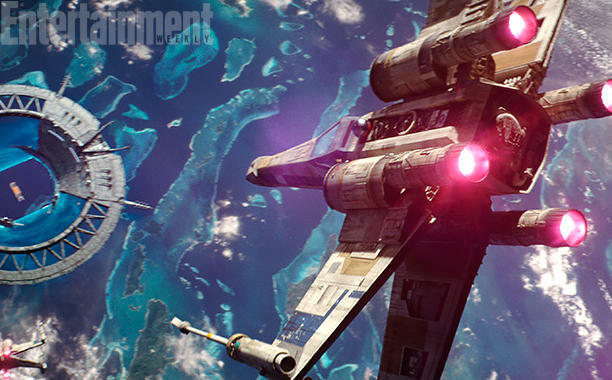 It’s clear they re-shot the ending especially with the Star Destroyer crashing into another and the adding of certain X-Wing squadron members from A New Hope. Additionally, there’s a TON of shots we saw in the previews that didn’t make it into the movie, shots from scenes that looked like they could have fleshed out the film. This is at least 50% Dan Gilroy’s movie too. Films like Star Wars, Avengers, and Man of Steel are not a director’s singular vision. 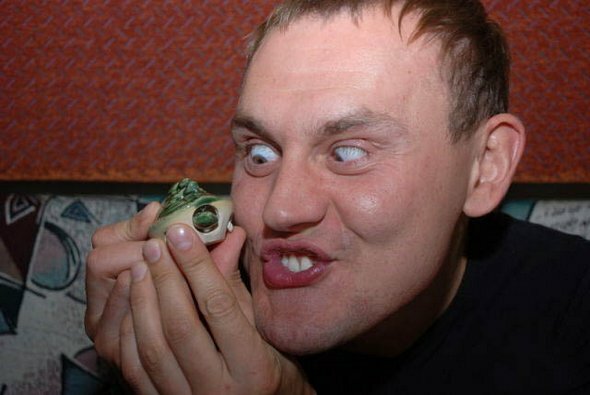 If you think that you’re kidding yourself. These are movies by committee and Rogue One was no different. Don’t for a second believe that Rian Johnson had free rein to do what he wanted for the upcoming Episode VIII either. Cohesiveness is a big thing when it comes to film for me. Rogue One contains several bizarre transitions and flips in character motivations that make no sense. A couple in particular standout. It’s clear from the get go that Cassian Andor and Jyn Erso don’t get along. They see the world differently. Cassian is a man who makes the hard decisions as we see early on when he kills an Imperial informant. He’s bound and determined to follow orders and kill Galen Erso…until he doesn’t. There’s no sensible reason as to why Cassian doesn’t kill Galen Erso. Jyn has done NOTHING to convince him to go against his ingrained code and explicit orders. So why not pull the trigger? Another thing that confounds me is that right after Cassian doesn’t kill Galen, he and Jyn have a shouting match in the ship where it’s clear that Jyn could give a crap about the Rebellion. Yet in THE VERY NEXT SCENE she’s in the war room, weirdly in a very prominent spot, giving a huge pep talk to the Rebels. Um what? And then she gets like 30 men to go against the will of the council and attack Scarif. “Hey we just met you Jyn and don’t know you from an Ewok but we’ll follow you into Hell!” That’s how that scene comes across. Additionally, Cassian joins her in the attack where in the previous scene he clearly disdains her. It’s like the “Chewbacca Defense” from South Park–it makes no sense. Maybe I’m getting too nitpicky, going full-on Comicbook Guy from The Simpsons but these two things kind of bugged me, in spite of how awesome the last thirty minutes of Rogue One was. How’s it possible for a technologically advanced galaxy that possesses hyperdrive capability, laser swords, tanks containing fluid that heals virtually anything, and fully functioning prosthetic limbs to use a giant switch to allow communication between planet side and space? You have interstellar commerce for God’s sake! Better communication methods are not only logical they would be necessary. Furthermore, why is this switch located out in the open with seemingly nothing surrounding it? Essentially Imwe had to “reboot the router” to allow Jyn and Cassian to transmit the Death Star plans. And was it me or did the planet-wide shield remind anyone of Druidia from Spaceballs? Additionally, the fact that the Empire holds all of its secret black ops projects on one planet boggles the mind. Has the Emperor never heard of redundancy? Seems to me there should be back up servers on other planets. Look it’s cool and all to give nods to the fans. I appreciate it myself. But some of this stuff was soooo unnecessary. See exhibit A above with Evazan and Ponda Boba. You may remember them as the thugs who harassed Luke Skywalker at the cantina in A New Hope. Well they also made an appearance in Rogue One when they bump into Cassian and Jyn on Jedha. There’s other instances as well such as Vader choking Krennic to remind us that Vader likes to choke people and the squadron leaders from the original film being cut into the final attack on Scarif. Now granted I’m not saying The Force Awakens didn’t have its share of fan service too, but the fan service in Rogue One felt like they were trying too hard. I want to be crystal clear here. When I say the character I mean just that. NOT Felicity Jones’ performance. That was perfectly fine. However, for someone who is supposed to be the lead figure in Rogue One, she’s not particularly remarkable or interesting. In fact she’s pretty boring in some aspects. This never felt like her movie as opposed to The Force Awakens where it was very much Rey’s story. 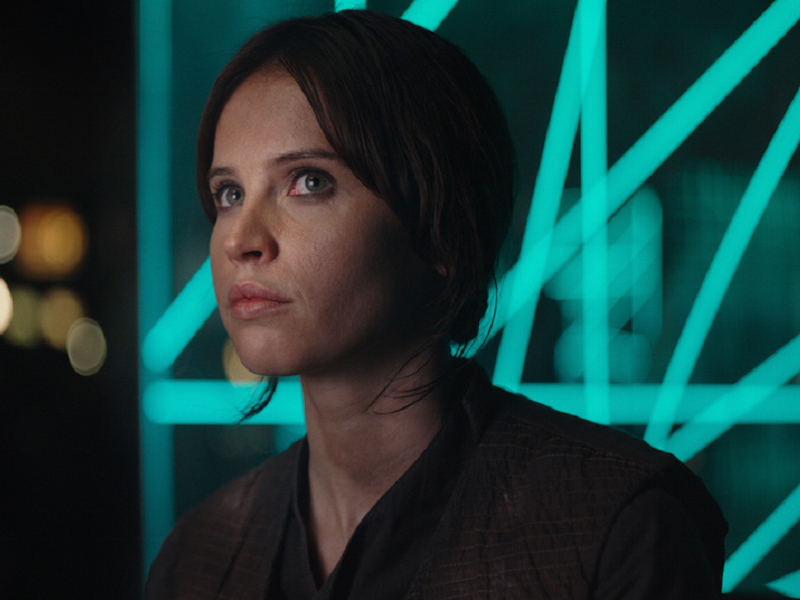 Instead Jyn Erso feels like a character who’s there in service to the plot rather than watching her arc. She’s tagged as a “criminal” but a criminal of what? We never find out. Jyn’s motivations don’t seem to make sense either. Why would she go on this mission in the first place? Yes Krennic killed her mother and father so it makes sense for her to want revenge–against Krennic. But against the Empire? I don’t buy it. In any case she doesn’t even get to kill Krennic which was puzzling. I harken back to my earlier section on motivational changes. When the scene between her and Cassian right after her father is killed ends, there’s a clear amount of unresolved conflict. But the next thing we know she’s all gung-ho for the Rebellion. It felt like there was a scene missing. Where is her “aha!” moment, her turning point? There isn’t one. Her final sacrifice doesn’t feel earned and I didn’t have any strong emotional connection to Jyn. People have come out and said they want more Jyn Erso movies now. That’s a hard pass for me. I know it seems like I’ve just trashed Rogue One for the last 1,500 words or so but I don’t want to give you the wrong impression. I still liked this movie-a lot. People at Disney made some bold choices, especially in killing everyone off. K2-SO was a standout, the visual effects were fantastic (Tarkin not withstanding), the multi-racial/cultural/ethnic cast felt natural, and the cinematography and editing were top-notch. I even liked the score, although I would have preferred more Imperial March. There is lots to love here, but it doesn’t mean it’s a perfect film and certainly not the best Star Wars movie ever. The original trilogy are objectively better films than this movie. Furthermore, not only do I like The Force Awakens better, I think it’s a better movie. Granted I’m not blind to The Force Awakens flaws either such as the CGI Rathtars, some cheesy dialogue, fan service, and the fact that it was essentially a soft reboot of A New Hope. However, I fully believe The Force Awakens had better characters, more intrigue, and more heart than all of Rogue One. Plus there’s the watchability factor. When I came out of The Force Awakens I wanted to buy another ticket and walk right back into the theater. I did not feel that way about Rogue One. I’m not saying I’ll never see Rogue One again, but I have no particular desire to see it in the theater again. And that’s coming from a guy who saw Revenge of the Sith three times in the theater. Despite its flaws, the most important thing I take away from Rogue One is potential. There are endless stories in the Star Wars universe ripe for the picking: a Kenobi movie, Knights of the Old Republic, The Jedi Purge, a Yoda storyline, and dozens more. There are many more Star Wars films to come and while they may not all be home runs, I look forward to visiting a galaxy far, far away again and again. ← Tribute: Debbie Reynolds R.I.P. I will grant the Erso/Cassian point. A little jagged there. However, the whole point of the film and the rebellion is that it is composed of a rag-tag bunch of nobodys, but each nobody has a backstory. As the audience, we are trying to figure out their backstory along with the other characters in the film. 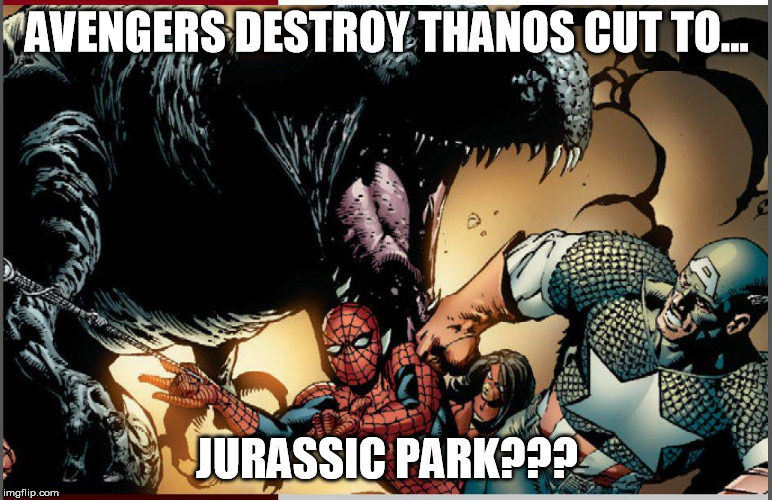 I actually think that is the genius of the movie, not its detriment. No Trump meme? I’m disappointed. Seriously though good points. Liked the movie just felt it was missing heart. I think the heart you seek is in the characters actions – their nearly blind faith in the cause. The selflessness leaves the viewer with much to admire and possibly, look inside themselves to see if any exists within them. I think the major issue with Rogue One is that it is too much for the fans and not enough a stand-alone movie. There is plenty there for the Star Wars fans but it can be slightly off-putting or even inaccessible for casual fans who don’t have the required background. 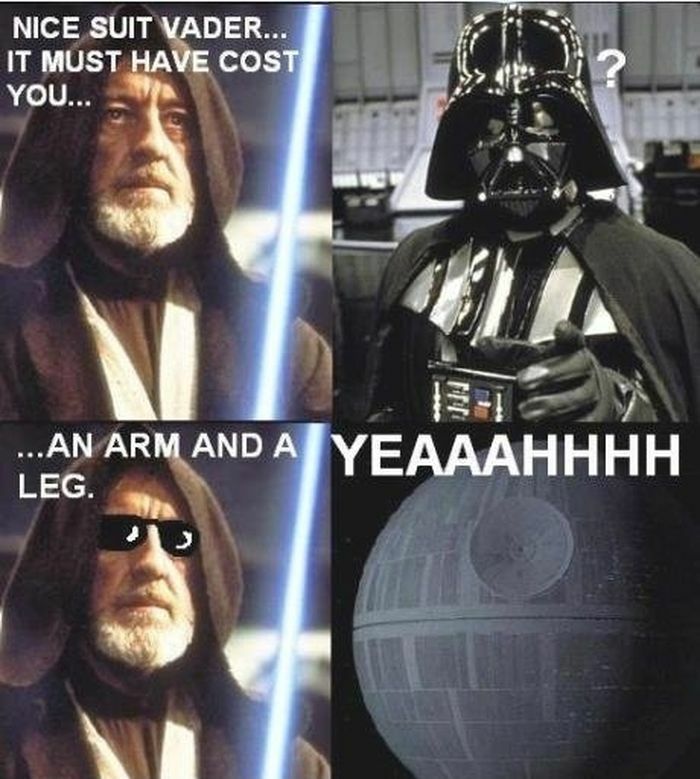 The “proper” Star Wars movies always appealed to everyone.